Are you able to worship God when you don’t feel like it? What happens when tiredness, sadness or pain sets in? Is it possible to worship God then? David knew great tragedy in his life. He experienced the pain of loss and rejection (actually spending much time running from a potential killer). How did he maintain his life of worship in the midst of such hardship? He led himself in worship. 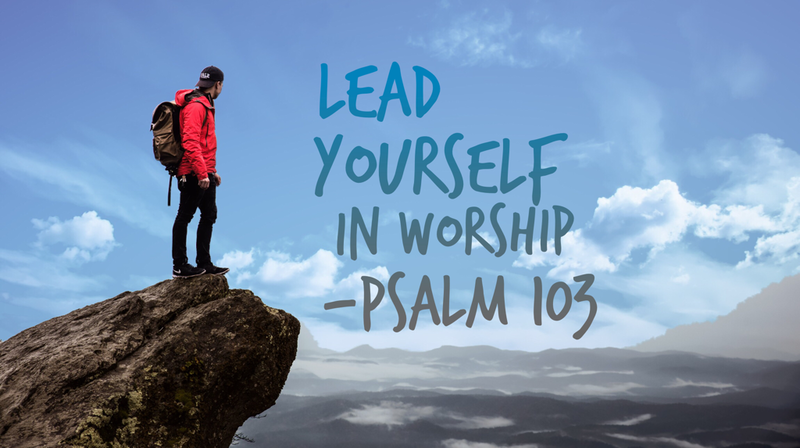 You will never be able to lead others in worship until you have led yourself in worship. David called out to himself, “Come on, David, bless the Lord. Remember what he has done.” And then he began to recount all the things that God had done for him. True worship leadership is born out of the place of declaring the goodness of God in the midst of trying times. Worship is not a moment of celebration when life is good. It is to be a sacrifice of praise (Heb. 13:15). A sacrifice…. Worship is about giving God a sacrifice, simply because he is worthy. And this often begins through the declaration from your mouth. Remember all that he has done in your life. Speak out your thanksgiving. Don’t wait for someone to lead you in worship. Don’t wait for the next worship album, podcast or YouTube moment. Lead yourself in worship. God deserves it!